Group discussion is one of the elimination interview rounds in the interview process where 8 to 12 participants speak about a given topic. The topic could be anything ranging from social issues to international affair. The expectation is when you speak about a given topic you must sound logical and professional while discussing the topic. 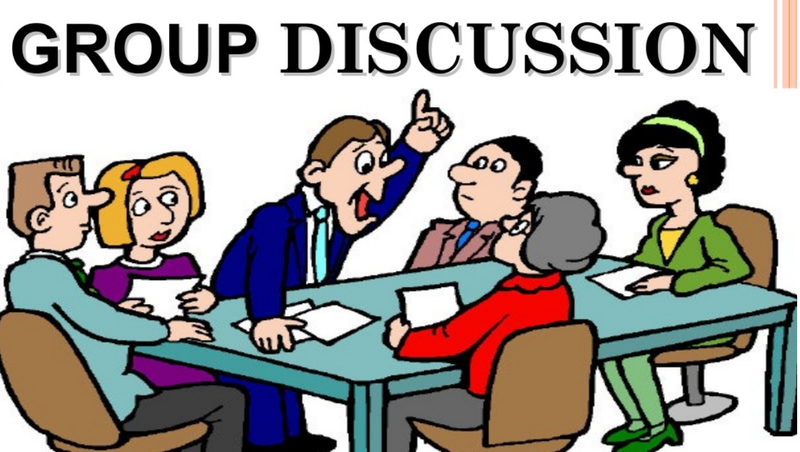 So, in this article, we are going to discuss different stages in the group discussions as well as certain sentences you can use during the discussion. This is the first stage of Group discussion! You can go ahead and start initiating the topic in case you are strong with the content. You can start your initiation by defining the main term in the topic. You can also initiate by stating certain facts if you are aware of that but make sure that your facts are very accurate. When you are initiating, you can use the terms like in my opinion or you can also say that in today’s world and so on. The next one is disagreeing with a person. When you disagree with a participant, make sure you do not be very aggressive, control your emotions but at the same time be energetic. So, what are the sentences you can use show your disagreement? Also if the person has given a particular fact which is not right you can say “I am afraid that’s not right”. it’s very important that you interrupt a person if the person is elaborating the main point too much. So how to interrupt the person in the Group Discussion? Simply by saying sorry, I wish to interrupt you there or sorry to interrupt you there. Always add a sorry in front of the sentence so that the person doesn’t mind you interrupting him or her. How to respond when you partially agree with a person? You can simply say I agree with you to some extent but and then you continue with your topic. You may also want to add few points at times so when you wish to add a few points you can say “you’re correct and I would like to add some points or in addition to that and then continue with the discussion. These are the few things you can use in different phases of the group discussion for initiating, agreeing, disagreeing, interrupting, partially agree, and adding few points. Remember that a discussion is not an argument. Try to stick to the discussion topic. Agree with the point of your partner what you find interesting. Don’t Shout. Use a moderate tone and medium pitch. Don’t Use too many gestures when you speak. Gestures like finger pointing and table thumping can appear aggressive. Don’t Dominate the discussion. Confident speakers should allow quieter students a chance to contribute. Don’t Draw too much on personal experiences. Don’t Interrupt. Wait for a speaker to finish what they are saying before you speak. I hope you will use these sentence starters in your next group discussions and obey these dos and don’t to. Did you find this article useful? Please share your comment in the below section.